Pretty paper – anything could work, like music sheets, old newspapers, old photos, or you could pick up colourful paper in the scrap-booking/paper-arts section of your local craft store. Get creative! Decoupage Glue Sealer – quick bonding and non-toxic, plus it’s a sealer/finish. What more could you want? Clothes Pins – a trusty classic from the past, unless you don’t have a dryer,… or it’s windy…. Spray Paint – this optional. You could also varnish the wooden clothes pins, or leave the raw wood exposed. Hot glue gun – usually one of those basic, staple supplies that most of us crafters and artists like keep around the studio. 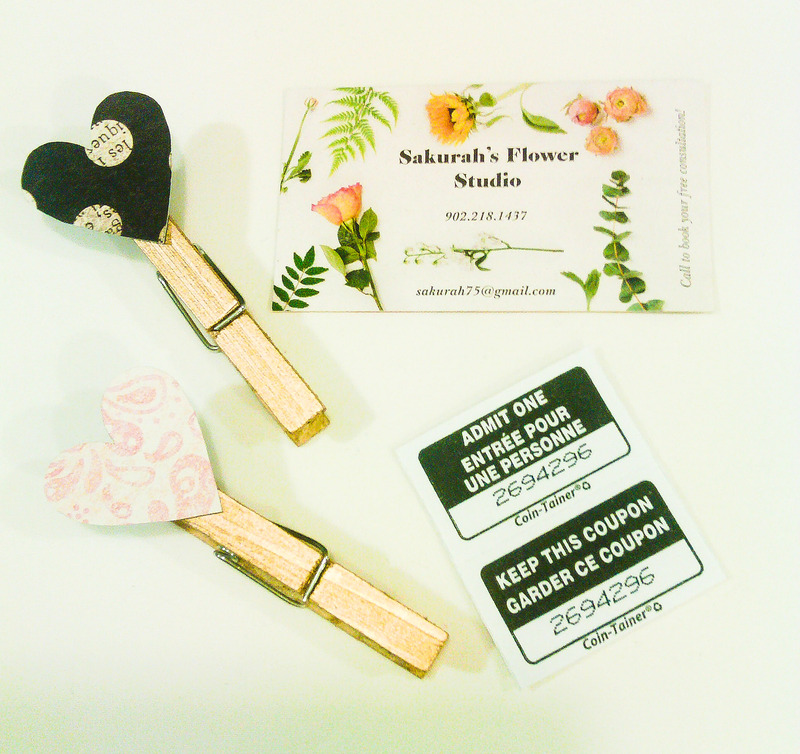 Magnets – you should also be able to purchase these at your local craft supply shop or discount store. Other Supplies – pencil preferably, or a pen for tracing, scissors or exacto knife to cut out shapes, protective gear if using varnishes or spray paint etc., any other creative supplies you could find to use around the house… sparkles!? For our booth at the Island Wedding Showcase happening this Sunday, February 22, I was looking to create a little memento that our bridal clients could take home with them. Still feeling the love and inspiration from Valentine’s day, I opted for a heart theme. After all, marriage is the ultimate commitment to your Valentine! After searching around my studio for ideas, I found a brand-new book, full of pretty design paper that had been gifted to me in the New Year. Then I picked up some poster board from a local craft store in Charlottetown (I chose pastel blue) and glued on my favourite sheets of the paper. 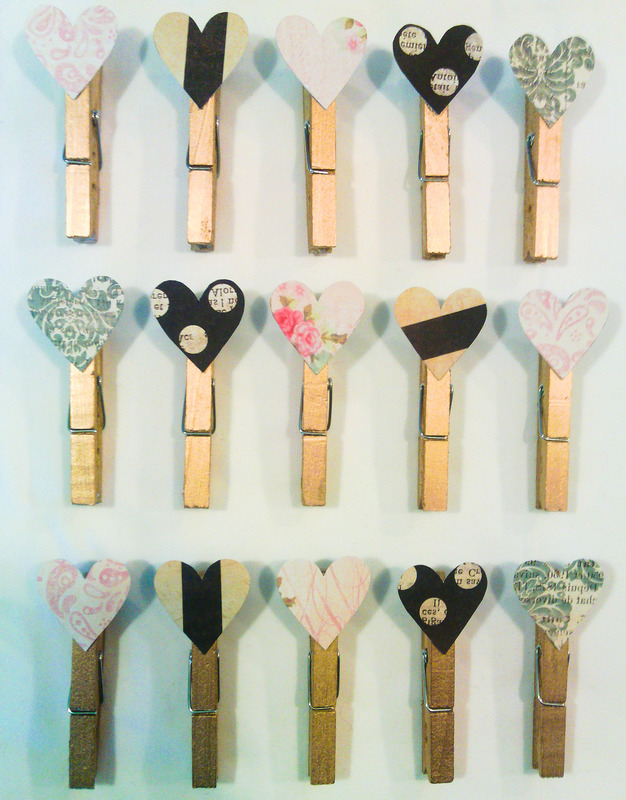 (This poster board backing will provide extra stability and durability for the clothes pin heart magnets.) 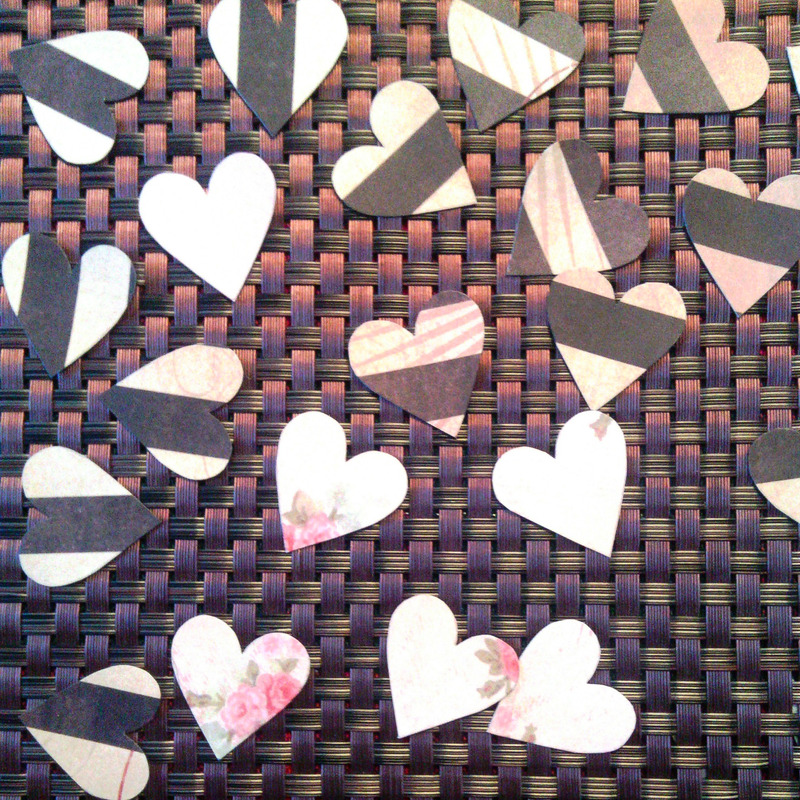 Next I created a little cut out heart, at the size I desired (about 1-2 inches) from some left over card stock in my studio, traced hearts over the glued design paper, and cut them out. 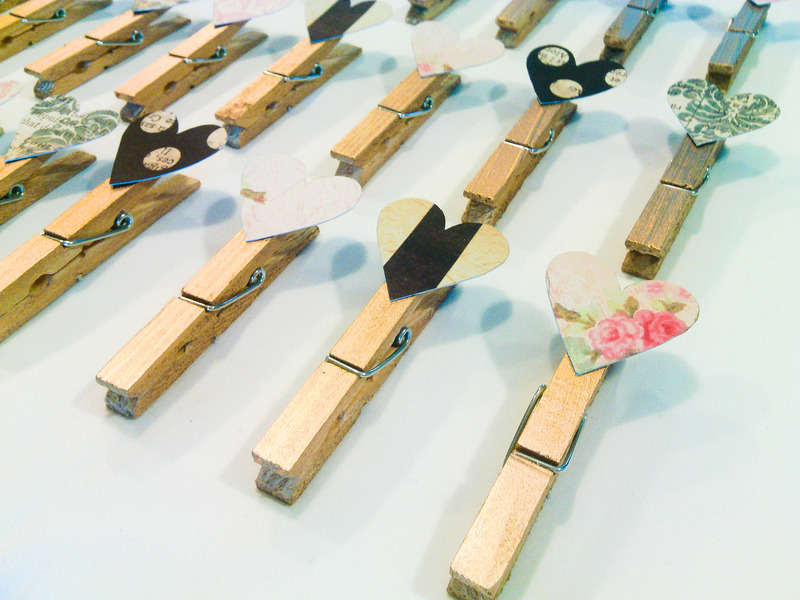 Then I spray painted some wooden clothes pins gold and glued a heart to the top of each, along with a little magnet at the back. You can also purchase this item on my online Etsy Shop here.